A service celebrating the lives of Ouida Sharon Ferguson age 68 of Cornelia and Wayne Barron Ferguson age 71 of Cornelia will be held at 2:00 PM, Saturday, October 6, 2018 at Hillside Memorial Chapel. Interment will follow the service in New Hope Baptist Church Cemetery. The family will receive friends at the funeral home prior to the service Saturday from 11:00 AM until 2:00 PM. Ms. Ferguson passed away September 30, 2018 and Mr. Ferguson passed away May 14, 2018. Ouida Sharon was born at Walker Clinic in Clarkesville on August 9, 1950. She and her brother Wayne were the children of the late Howard and Audrey Barron Ferguson. She graduated from South Habersham High School in 1968 where she was the class Salutatorian. Ms. Ferguson then earned a Bachelors Degree and a Masters Degree from the University of Georgia. She spent her entire career as an educator; first in Rabun County and later in Dekalb County where she taught at the Dekalb International Student Center. Wayne was born at Walker Clinic in Clarkesville on March 4, 1947. He was a 1965 graduate of South Habersham High School. Mr. Ferguson was a United States Army Veteran and he was a self employed truck driver. 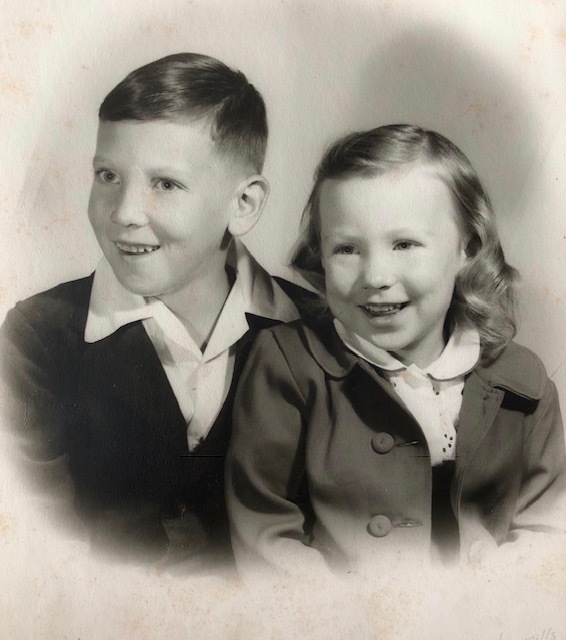 In addition to their parents, Ouida Sharon and Wayne are preceded in death by sister Nancy Cheryl Ferguson. Survivors include their sister and brother in law Beverly and George Dickey of Sugar Hill and nephews John Dickey of Atlanta, James Dickey of Augusta, and Steven Dickey of Duluth. In lieu of flowers, memorial donations can be made to the Iron Disorders Institute at www.irondisorders.org.